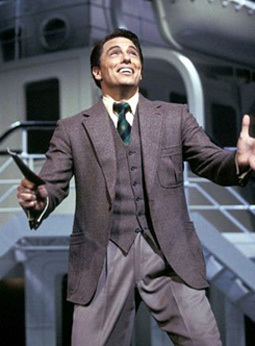 Reprising the role of Billy Crocker in which he made his 1989 West End debut, John starred once again in Anything Goes, in the National Theatre production under the direction of Sir Trevor Nunn. In September 2003, the production transferred to Drury Lane, where it continued to be just as outstandingly successful as it had at the National Theatre. "My sister got on the phone to me and asked, 'Are you playing the old man now?' I'm still playing the same part [Billy Crocker] but there are things that I do now that have a little bit of a different edge to them because I'm older and I'm a little more experienced." The show itself had also been updated since the 1989 production. 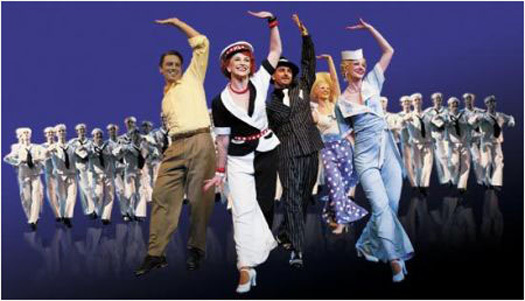 "The dance numbers are longer, but the dialogue he's [John Weidman] shortened up and tightened. He's also added stuff in the dialogue to make more sense of why we're saying certain things. He's added more dialogue in order for the audience to understand, but refined it so they don't get confused."